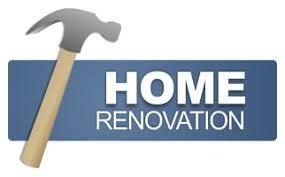 Home Renovations for Sellers - Slade Real Estate Inc. If you are planning to sell your home, you may be asking yourself why you should renovate a property that will no longer be yours after the sale. There is a very simple answer. Minor home renovations can have a huge impact on the sale price of your home. Not all home renovations will provide a good return on your investment. A good realtor can help you determine where to best spend your money to get the highest return on your investment. Making home renovations before selling is not only to increase the value of your home, it is also about not losing money that simple renovations will bring you. For example: Say you have chipped paint on your walls. A potential buyer may want to negotiate the sale price to make up for the cost to them to have the home repainted. The price reduction that they request will most likely be higher than what it would have cost you to freshen up the paint yourself. By not making simple renovations, you are giving a potential buyer more power to negotiate the sale price. Paint your Walls: It is very worthwhile to freshen up your home with a new coat of pain of the walls. When you are doing this to sell your home, always choose light neutral colours that will give your home a new fresh look, and an open feel. You want to potential buyers a clean space that they can picture decorating for themselves. Floor Refinishing: If your current floors are not in dire need of repair, it may not be cost effective to replace your floors. Do what you can to improve the look of your floors. You can have your carpets freshly cleaned and have any carpet stains removed. If you have hardwoods, consider having them refinished. If you have tile, be sure to fully clean and replace any broken up grout between the tiles. Light Fixtures and Hardware: You can make every room, especially your kitchen and bathroom look updated and more modern by simply replacing light fixtures and hardware. If your countertops and cabinets are extremely outdated, or in bad shape, you should consider replacing them. Window Coverings: Old outdated and unattractive window coverings will not create a good impression of your home. When it’s time to sell your home, bad window coverings can do more harm than good. Although replacing window coverings with custom make draperies and blinds can become very costly. There are ways to do this yourself that can be less expensive. Replacing window coverings can go a long way to improving the feel of your space, which can move a prospective buyer to want to live there. Increasing Curb Appeal: The exterior and entryway is the first thing a potential home buyer will see and base their opinion on. At the time of selling, it is crucial to make the best first impression possible. Manicure your lawns, remove weeds and replace any old siding and window frames. Be sure your sidewalks and driveway are clean and well maintained. One great way to increase your curb appeal is by painting or replacing your front entry door. Consider some accent lighting along your walkways to make your yard look more inviting when your home is being showed during dark hours. A good realtor can help you make these renovation decisions and can help you to determine what each renovation would be worth in increasing the sale price of your home. Call Slade today to come and do a free home evaluation before listing your home for sale. 306-222-9992.